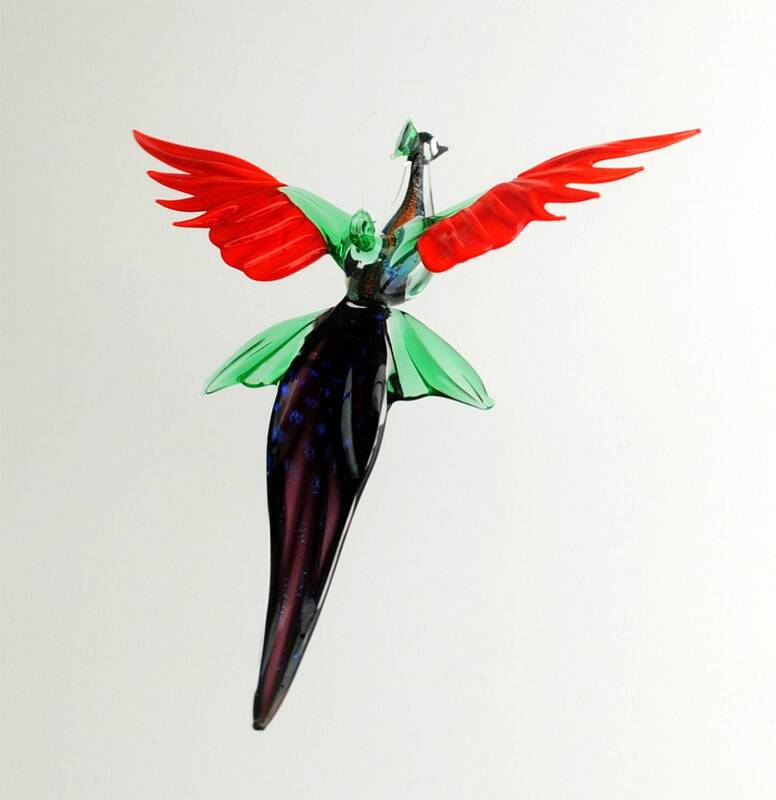 Handmade, lamp worked glass Peacock in flight figurine. The Peacock has rainbow dichroic glass in the belly. 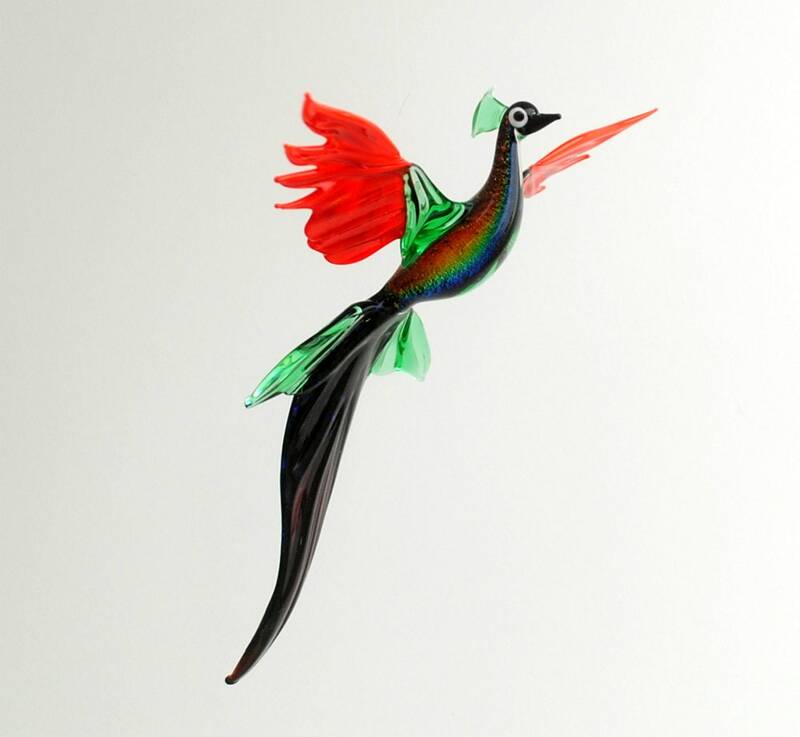 Also dichroic glass is used in the tail to create the ocellated, iridescent spots that the Peacocks naturally have. 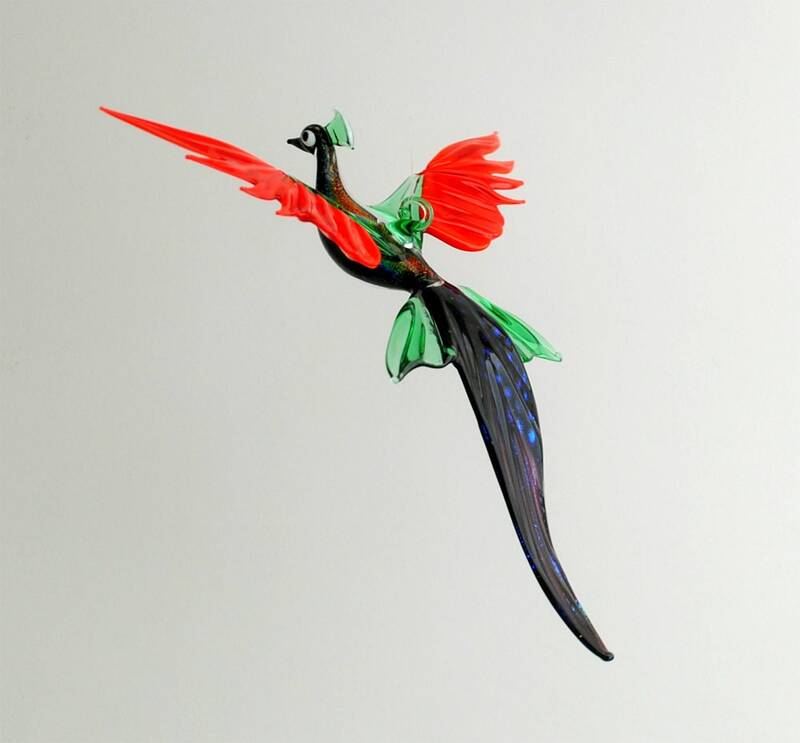 Hanging near a sunny or well lit area, the Peacock will sparkle as it appears to glide through the room.